Genetically engineered (GE) foods are as safe for human health and the environment as their non-GE counterparts, according to a study released by US-based National Academies of Sciences, Engineering and Medicine. “The (study) committee concluded that no differences have been found that implicate a higher risk to human health safety from these GE foods than from their non-GE counterparts,” the study said. “The committee states this finding very carefully, acknowledging that any new food—GE or non-GE—may have some subtle favourable or adverse health effects that are not detected even with careful scrutiny and that health effects can develop over time,” it added. However, the conclusions of the study have been questioned. Washington-based Food & Water Watch, a public interest organisation, alleged conflict of interest stating that the academies had ties with the biotech industry and other corporations. The study also said that that there was no conclusive cause-and-effect evidence of environmental problems from GE crops. It said that insect or herbicide-resistant crops did not reduce the overall diversity of plants and insects on farms, and sometimes insect-resistant crops led to rise in insect diversity. It, however, added that the complex nature of assessing long-term environmental changes often made it difficult to reach definitive conclusions. Stating that the difference between genetic engineering and conventional plant breeding was becoming less clear, the report noted that all technologies for improving plant genetics, be it conventional or GE, can change foods in ways that could raise safety issues. 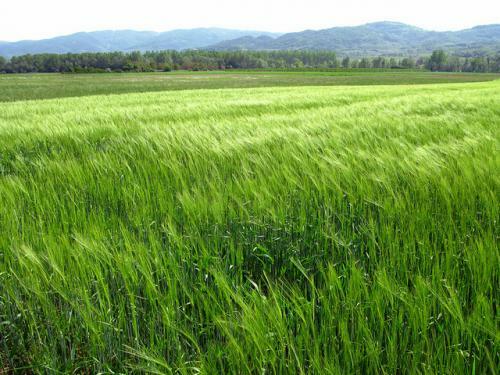 The report recommended that new crop varieties should be regulated on a plant’s characteristics rather than the process by which it was developed. “New plant varieties having intended or unintended novel characteristics that may present potential hazards should undergo safety testing—regardless of whether they were developed using genetic engineering or conventional breeding techniques,” it said. The report said that authorities should be inform the public how emerging genetic-engineering technologies or their products might be regulated. It also recommended proactive public participation on these issues. The study committee further said, on the basis of its review of the evidence on health effects, it did not believe that mandatory labeling of foods with GE content is justified to protect public health. However, it noted that the issue involves social and economic choices that go beyond technical assessments of health or environmental safety. The study committee examined close to 900 research and other publications on the development, use and effects of genetically engineered characteristics in maize, soybean and cotton, which account for almost all commercial GE crops to date, a press statement said. It also heard from 80 diverse speakers at three public meetings and 15 public webinars and read more than 700 comments from members of the public. Long term results on human and animal health are yet not clear. The most important hazards are cross pollinations, one with the same kind of plants & second with other plants of same family. There are chances to end our Bio diversity. If we compare with A1 and A2 milks, which are catching headlines the Worldover and we are getting to saving our indigenous cow breeds now! other most important aspect is herbicide tolerant varieties. that will poison our food.